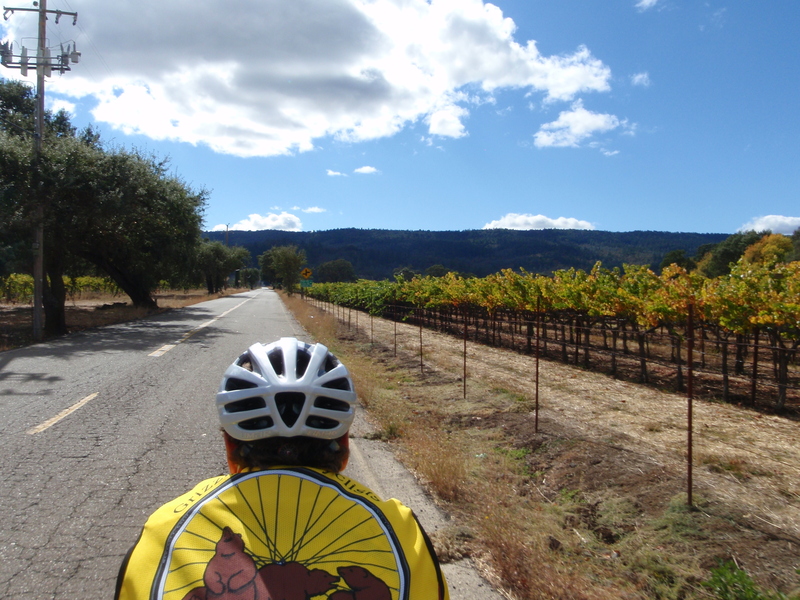 Riding along Chilies Pope Valley in Wine country. 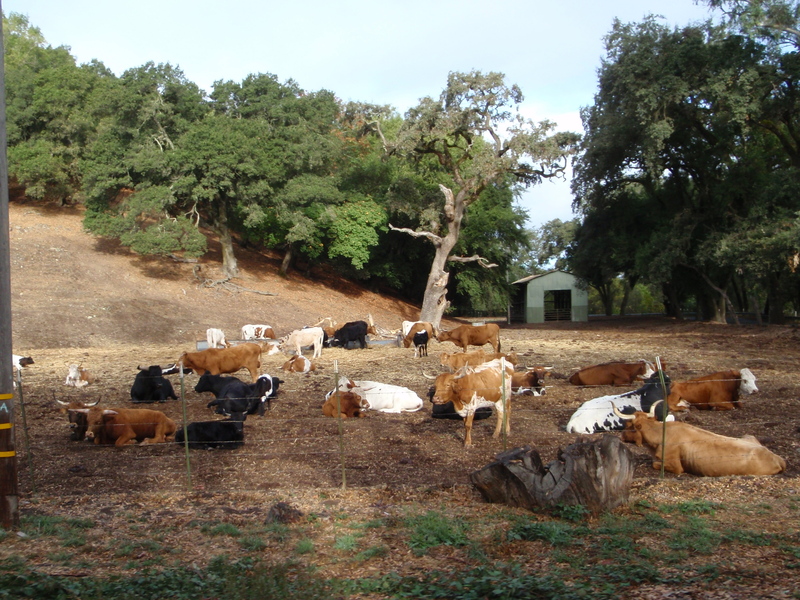 The next weekend was to be the annual Pope Valley Turkey shoot. You don’t get to shoot any turkeys, but I believe that they give out turkeys as prizes for the best shots. “You ate prunes,” responded my mother’s friend, knowing my mother well. “Yes!” my mom replied, still happy and relaxed after her vacation with the dried plums. Michael, like my mother, likes well-worn goat paths. He has figured out what he wants to do with his life and he does just that, over and over again. He has decided that the best ride in the world is the pancake/Nicasio/Marshall wall loop and I tend to agree, so in the winter, when he takes over as leader of the Duros West GPC rides, we do the same route every week and eat at the same restaurant every week, the Pinecone, a fine establishment, whose service reminds me every so slightly of Baltimore. The waitress will come out and ask what we want to eat. We will look slightly offended and ask for menus. She’ll reply that she thought that we already knew what we wanted. She’ll divvy out menus, come back several minutes later to take our orders, which are all orders she would have correctly guessed without even talking to us. I am not quite sure why we all need to have menus in our hands when ordering, but my hands feel naked and exposed if not holding a menu while asking for food. I always get eggs over easy with toast, having decided long ago that this meal is the best possible meal to eat on a bike ride. MarkN is ever so slightly less stuck in his ways, so his lunch choice varies occasionally and, if I am lucky, he will order 2 buckwheat pancakes. Mark is completely unable to eat 2 buckwheat pancakes, so I hover like a vulture and see if I can scavenge some yummy tidbits from his plate. However, Mark more often than not gets eggs over easy, too. Michael will likely get banana pancakes (no chance of yummy tidbits from that plate). Jack, having arrived late after buying bread at the Bovine Bakery, will get the hangtown omelet/steak sandwich, and Bob’s choice varies. Bob often gets some almost, but not quite, vegetarian lunch. Repeat again next week until spring. Bob is the real leader of Duros West and he schedules and plans all the Duros West rides during the regular (non-winter) season. He chooses interesting locations and changes the routes week to week. He does use the same routes from year to year, but during the season the routes vary. In midsummer, we ride a variety of routes in Marin, which the heat of summer does not ever touch. 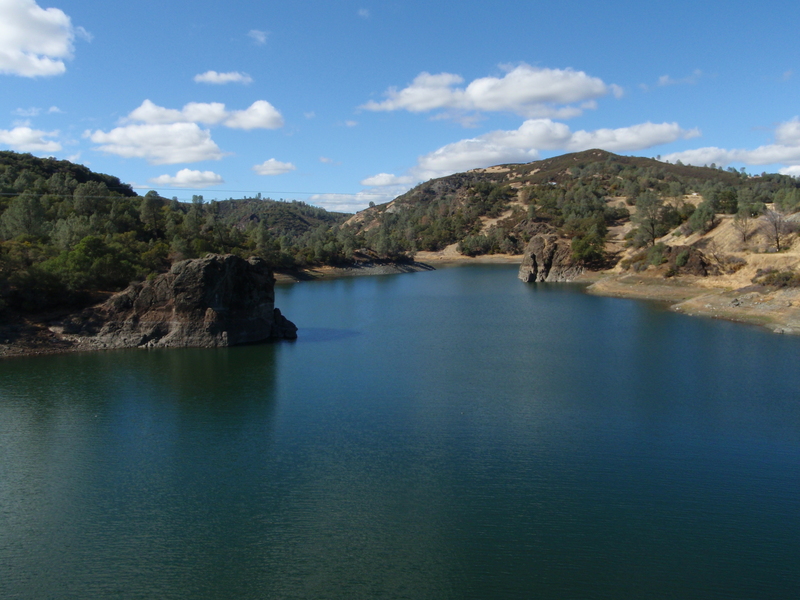 In the milder spring and fall we go out to Livermore or up to Middletown, King Ridge, Pope valley, or Lake Berryessa, all places well acquainted with the scorching heat of summer, but places well worth visiting in spring or fall. The schedule runs as though someone gave it some real thought and consideration and we are all better for it. Bob has decided that this will be the last year he does Duros West and that the rest of us need to step up and lead more of the summer rides. Michael does not quite believe Bob. He thinks that Bob will reconsider and do another year. However, the summer season is now over. Michael takes over this week as our winter leader and we will be riding the pancake/Nicasio/Marshall wall loop on Thursday. According to Bob, last Thursday was his last regular Duros West ride as leader. He has been leading these rides for about 12 years. Bob, Jack, Dave, and MarkN. 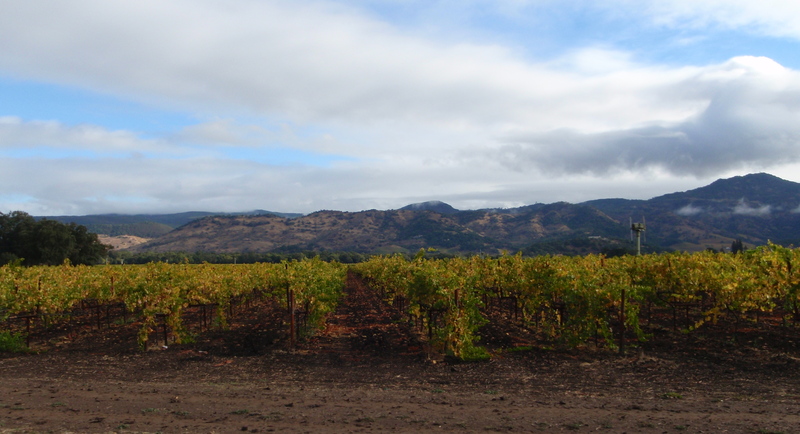 Leaving Yountville. 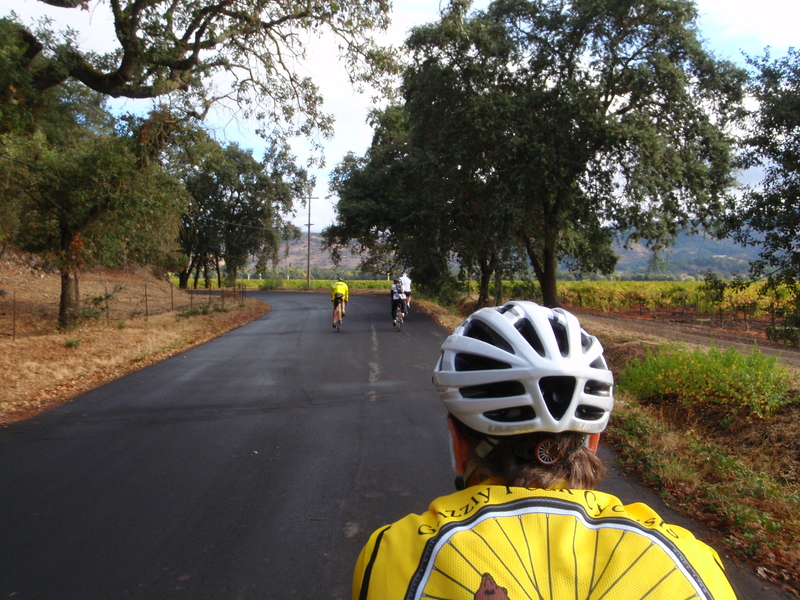 Our ride started in Yountville and we did a loop along 128 to Lake Berryessa and through Pope Valley. Mark and I rode my tandem. Michael did not come, because the drive was too long. Jack came despite having had a back spasm that week. Caroline misread the webpage and, when we called her cell phone wondering where she was, she was driving around the Old Nob Hill Market parking lot in Livermore, looking for us. Dave came, so we were 5. It had rained that morning and everything was moist and pretty. The smell of bay leaves inundated the area. 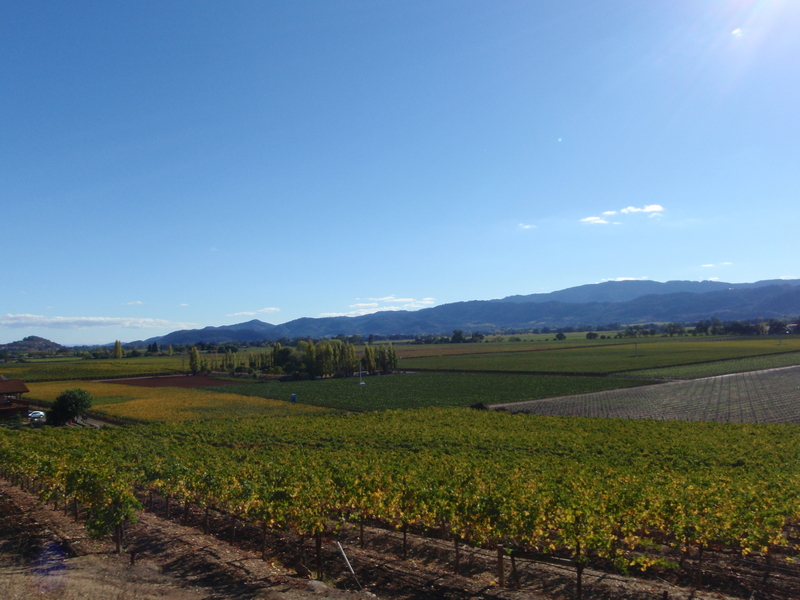 The vines were just starting to turn and the whole ride was beautiful. We had grilled paninis in Spanish Flat and I believe that these paninis were the best on the planet. Bob was stung by a wasp during lunch, but seemed happy anyway. While we were sitting around our lunch table outside, Jack took a large swig of his juice and immediately spit it all out onto the center of our lunch table. Realizing that an explanation might be needed, he told us that a wasp had been in his drink. Upon inspection of the rejected liquid, a very wet and pathetic looking wasp was found. Jack was quite please not to have been stung by the wasp and counted the ride as a success. As the day wore on and the heat rose, the smell of bay leaves was overtaken by the slightly fetid smell of freshly pressed grapes. 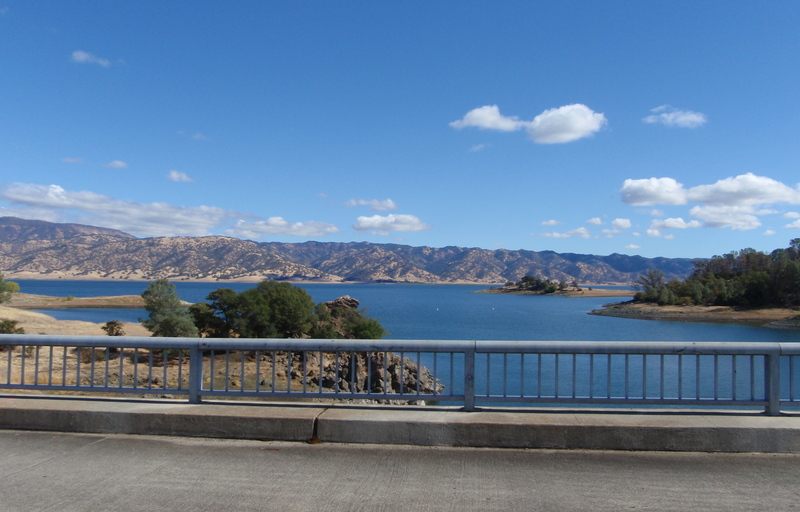 View from the dam looking north at Lake Berryessa. We had just seen an Ospey take off and fly alongside us for a couple of minutes. 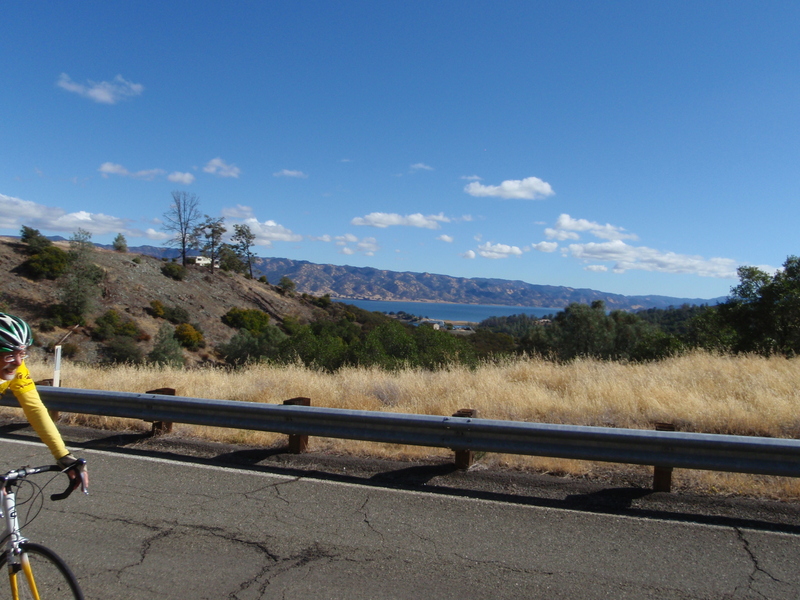 Bob and last view of Lake Berryessa. We were chasing down the Osprey and we succeeded in finding him again and watched him soar. This loop is lovely tandem territory. MarkN kept wondering why we dropping everyone until he looked at our average speed and realized how fast we had been rather effortlessly going. 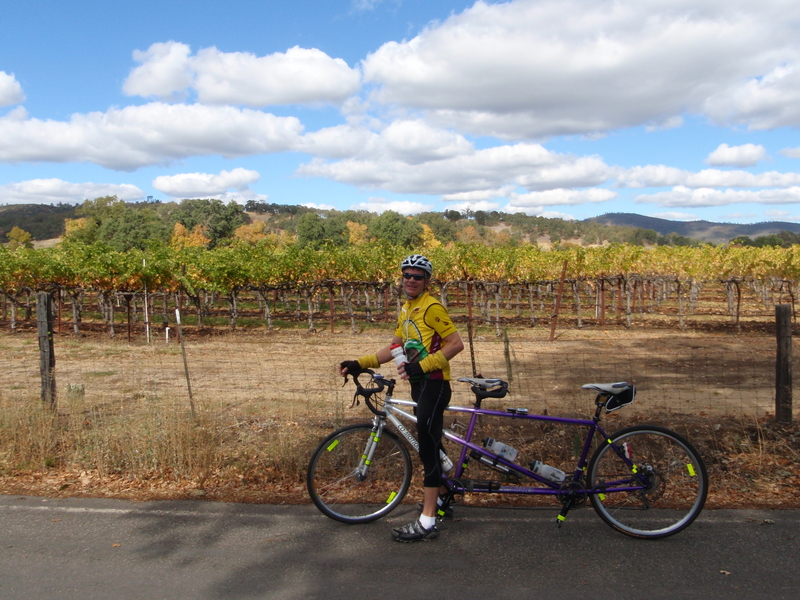 This entry was posted in Duros West, Tandem and tagged cycling, tandem, wine country. Bookmark the permalink.